When it comes to camping, nothing beats a warm fire at the campsite but…….there are times when that fire is easier to have compared to others. As an example, if you are camping at a campground you may have an assortment of fire starting materials at hand but when you are out in the bush, this is a different story. This is especially true when it comes to trying to start a fire after it has rained and everything is wet in the backcountry. But not all is lost. 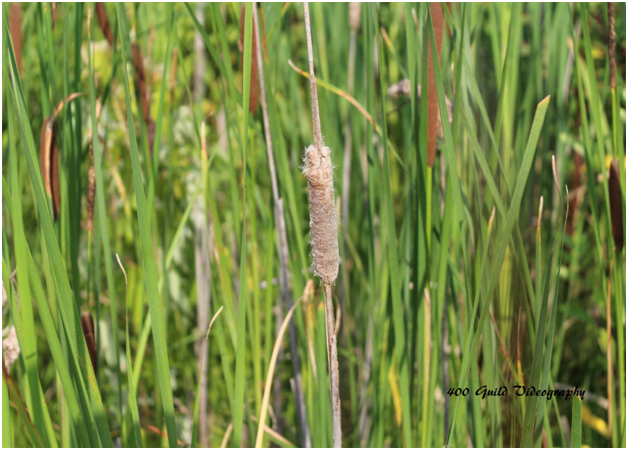 Below are some tips on using cattail fluff to start a fire. What makes cattail fluff a wonderful fire starter is the fact that it is fluffy. The spacing of the fibers allows oxygen to get in and around the fibers, which makes igniting the fluff easier even if it is mildly damp. 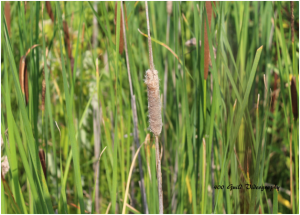 The other reason this plant’s fluff is a great fire starter is the fact that the cattail can keep some of the fluff bone-dry when harvested from inside the “tail” itself. Why is this? Well, the truth being the dryness comes from the shape of the cattail, which allows water to run off the sides straight down verses inside the “tail.” Now that we know the whys lets learn the hows of starting a fire with cattail fluff. When it comes to building any fire, the first step is to gather the materials. This includes tinder, kindling, and fuelwood. Tinder, by definition, is the smallest of the materials. This is used to start the fire and once the fire has ignited, the kindling is added. In this situation, you would remove the cattail fluff from the stalk and mix it in with very small twigs and/or leaves, dry grass, etc. As the fire ignites and coals begin to appear, add a small amount of kindling until the fire is fully burning. After that as the fire burns, continue to add more wood that is bigger in nature so that the fire is sustained for several minutes without having to add more wood. Now beyond being a great fire starter, the cattail also has a secret that can make your fire starting at your next campsite a breeze. What is it? Well, it has to do with not the fluff so much but the tail itself. You see, if you open up the “cattail” itself it creates a perfect vessel by which to carry some chard wood by which you can use to start another fire along with some cattail fluff. This is very much like a tinder bundle, which will only require a lit to get burning. All in all, cattail fluff, when available, is the answer to that question of what can I use to start a fire in the backcountry.